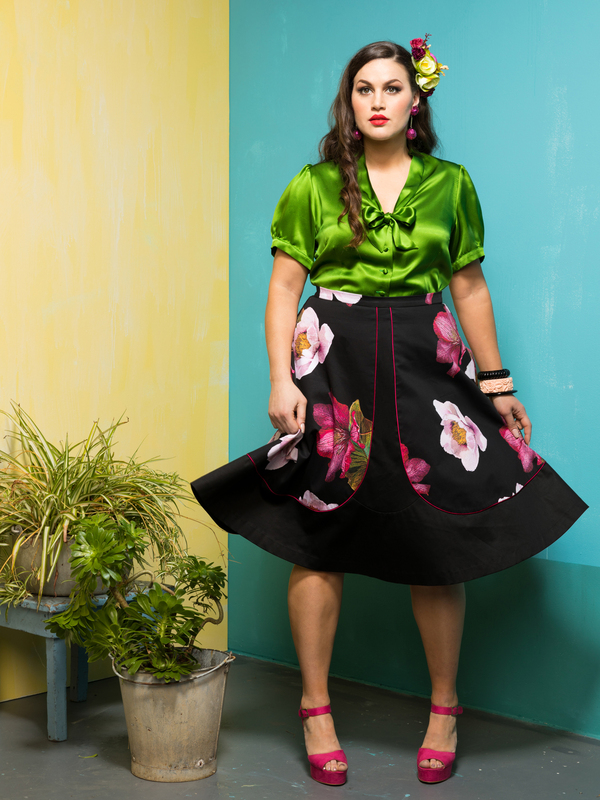 Tamara looks breathtaking in the Danzon Silk Blouse in APPLE and The Tropicana Skirt in GODDESS. This Danzon Blouse is a luxurious and yet understated silk satin blouse with subtle details such as covered buttons, front ties and adorable sleeves with slight shoulder gathering. This very flattering skirt is just perfect for an hourglass or cello silhouette as it has fullness in the skirt whilst tapering in at the waist. …all available at Sprinkle Emporium.